What Does It Mean When a Computer Can Beat a Game Master? - Nara Logics, Inc.
What Does It Mean When a Computer Can Beat a Game Master? This week Google announced that they have built an algorithm that beat a human master player in the Chinese board game Go -- beat him 5-0 even! It is an incredible accomplishment, as playing Go involves significant strategic look ahead across many possibilities. To give you an idea of how complex it is, Wikipedia notes that there are 10761 possibilities in Go versus 10120 in chess -- that's over a one cennovemnonagintillion difference in complexity! From the perspective of the impact for us humans, first, you can give up your goal of being the best in the world at Go, unless you want to limit yourself to merely humans. As to the impact on machine learning and on the business problems yet to be solved by machine learning, the most important thing to understand is that this is an advancement in a certain type of AI: supervised learning + "good guesses". 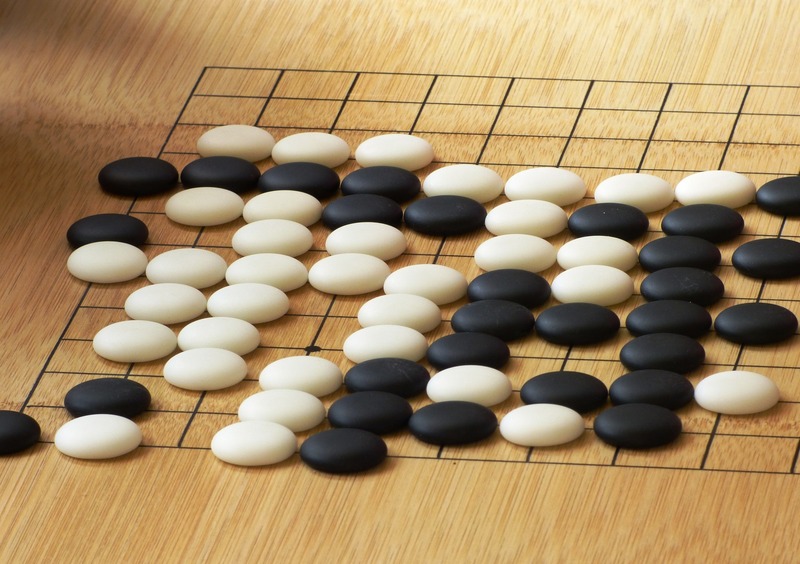 This algorithm was trained with an existing data set of Go games, i.e., they gave the algorithm a full set of moves and outcomes from thousands of master-level Go games. That's the supervised part. Then, they developed an algorithm to search the decision tree of possible moves to find the most likely best move at a given point in the game. That's the guess part, and in their case, obviously, good guesses. The question of impact of this for businesses becomes: In what cases do you have that much data that you can define as "expert" to train the system, and can you define the decision tree of possible moves? In many business cases, we don't even have the ability to define an expert much less have the data to back it up as to what moves they made in each situation. The good news is, from the armchair neuroscientist point of view, learning from experts is only one way a human brain expresses "intelligence", i.e., the case where we have to be explicitly trained. I think of it like rote memorization -- I only have the capacity of my training and retention abilities. Now, computers have more of that and the ability to do more training and retention is continuing to grow as compute and memory power increases. That said, this is finite, and you are only solving for the cases the experts showed you, not the other possible options that can happen. What makes humans special and "intelligent" is their ability to make decisions with less information required. We have the remarkable ability to infer into new contexts and we do it every day. This goes back to one of the reasons I joined Nara Logics, and a core differentiator of our platform. Nathan conceived of -- and the team built -- an incredible revolution on this aspect: how we associate all the information we have (expert or experiential, small or big, structured or unstructured) and then apply a context to get a faster and better answer to our business problem. We are taking an unsupervised approach to deep learning to let that information define the pathways and their probabilities of happening, then applying real-time context to find the most likely pathways to reach our desired outcome. As a community, we can stand on the shoulders of the giants at DeepMind, learning from their success in this area to solve problems where experts -- and even the games themselves -- are difficult, if not impossible to define.